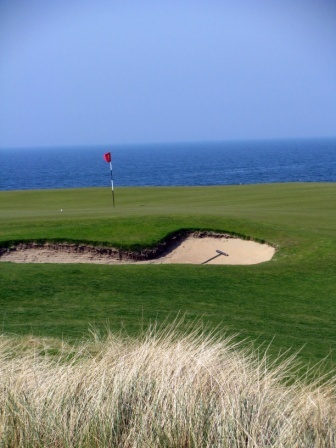 Nature has however been given a helping hand on many occasions since golfing first began in Ireland in 1881. In fact the list of championship course designers here in Ireland reads like a veritable who’s who of the golfing world, from Nick Faldo to Stevie Ballesteros, Greg Norman and our own Christy O’Connor. That and millions of euro’s or dollars, of course! 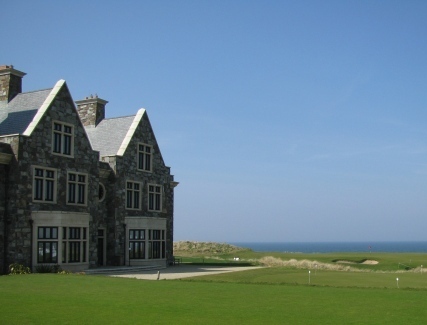 1 The Lodge at Doonbeg County Clare, Irelands newest and most prestigious 5 star golf resort on the west coast of Ireland close to Shannon airport. 2	The K Club Kildare, 2 championship golf courses designed by Arnold Palmer and host of the 2006 Ryder Cup. 3	Mount Juliet Kilkenny, The Best Parkland Golf Course in Ireland designed by Jack Nicklaus. 4	Druids Glen, Wicklow known as the ‘Augusta’ of Europe situated in the 'garden' county of Ireland. 5	Mount Wolsely Carlow, another beautiful mature parkland golf course designed by our own Christy O’Connor. 6	Hertitage Golf Resort Laois an award winning 72 par championship golf course set in the rolling midlands of Ireland designed by Steve Ballesteros and Jeff Howes. 7	Fota Island Golf Resort Cork boast 3s championships golf courses the Deerpark Par 71, Belvelly Par 72 and Barrycourt Par 73 as well as its own Golf Academy. 8	Dromoland Castle Clare has just invested €5 million into transforming their championship golf course, under the direction of the late J B Carr into one of the finest in Europe in an unparalleled country estate setting. 9	Carton House Kildare set in 1000 acres of walled country estate on Dublin’s doorstep is the championship Montgomerie golf course and Irelands largest teaching academy. 10	Glenlo Abbey Galway is a more intimate lakeside retreat with its own 9 Hole Double Green golf course overlooking the beautiful Lough Corrib.